This blog post is the first in a two-part collaboration with my friends at adidas Runners Auckland. adidas Runners is a global running network community, which sees like-minded runners coming together to hit the streets of their city in a weekly group run - and is currently up-and-running across more than 50 cities, and on every continent, globally! I’m stoked to have teamed up with the crew as adidas Runners Auckland’s Nutritionist. My personal experience with the community has been incredible so far - the vibes are positive, supportive, sociable and fun. I always leave feeling happy! We meet rain-or-shine, every Tuesday eve at 5:45pm for a 6pm run at the adidas store in Britomart on Custom St East, and have a wonderfully supportive FB community. Come join the fun! Like a car that requires petrol to drive, our body also requires fuel to move. This couldn't be more true in the case of running, where we’re pushing our foot hard on the accelerator in order to go-go-go. Running is, after all, a high-intensity exercise which puts physical demands on the body - and while there’s a number of factors that contribute to success in sport, nutrition is key. Why consider our diet around running? Improved nutrition for a runner may lead to positive changes to strength, speed, endurance, concentration and coordination; as well as optimised recovery post-run and body composition (1). With a little knowledge and application of nutrition principals for running, we’re supporting our maximum performance - or in the wise lyrical words of Daft Punk ‘harder, better, faster, stronger’. On other side of the coin, when we’re not quite on the right (running) track with our nutrition we may experience a lack of energy, lethargy, compromised training, that ‘heavy leg’ feeling, slower recovery, and an increased risk of infection and injury (1). No fun! The crux of pre, during and post-run nutrition ultimately depends on the parameters of the run - the distance, intensity, timing, environment and what you’re trying to get out of it. Throw on top of that a hefty sprinkle of individuality - what works for one person may not for another. Before chatting what to eat around running, let’s review two key nutrients for a runner. Enter the stars of the show, carbs and protein! Carbohydrates are a classified as a macronutrient, meaning a nutrient we should eat in larger amounts for good health (along with protein and fat). They’re found richly in foods like oats, potatoes, kumara, bananas and rice; and are a great a source of readily available energy for the body - the latter perfect for runners, or anyone needing to perform exercise at a higher-intensity. When we consume foods rich in carbohydrates, elements will be broken down into glucose which enter our blood stream. This is then taken up by our cells and used to produce a fuel molecule with a very fancy name (adenosine triphospate aka ATP), which helps power our cells. If we have enough glucose in the moment to fuel our current needs, any excess will be handily stored away for future use. This happens via a mechanism where glucose is converted to glycogen, a storage form of glucose, and is tucked away, primarily, in our liver and muscles. Think of it kind of like a nifty back-up petrol tank! During exercise, glycogen stores will be converted to fuel for our working muscles to keep up with exercise demands. Above a certain exercise intensity (for those interested and a little nerdy like me - around 70% of our maximal rate of oxygen consumption during incremental exercise…look into VO₂ max for more on this measure! ), glycogen becomes the main energy substrate. Here fatigue develops once stores are depleted (2). For most, glycogen will be depleted after a 90-120 minutes effort. Once stores are worn-out…so are we! We may start to feel fatigued, sluggish and our training intensity won’t be maintained. In more developed stages we hit the infamous ‘hitting the wall’, where we simply can’t go on further - we’ve hit a hypothetical wall! This can be a real issue for long-distance runners, but fortunately totally manageable through diet. For shorter adidas Runners run, and with carb-rich foods a part of our diet, we don’t have to be concerned about glycogen department. However it’s an important concept to keep tucked away, especially if we chose to venture into longer, marathon type running for exercise over 90 minutes (3). Like carbohydrates, protein is a macronutrient, or nutrient needed in large amounts for good health. Protein is our building block nutrient, essential for building, repairing and maintaining cells, tissues and organs. When we run we damage muscle fibers, with protein aiding recovery. Enjoyed alongside carb-rich foods, it also speeds up our bodies ability to replenish glycogen stores - a win-win! Protein is found across a wide variety of foods, most concentrated in animal products like chicken, fish, eggs and red meat; as well as plant-based products like legumes, tofu and tempeh. Protein powders can be a convenient way to get in protein post-run. If we keep active, aiming for 1.4g-2g protein-rich foods/kg of body (varying depending on you, your health and your fitness levels) is a good way to promote the maintenance of muscle mass (4), with failing to do risking our body breaking down proteins to fuel training runs - totally not efficient, as we’d rather it to maintain our lean muscle mass! Putting this into practice, here are tips and ideas for creating meals to power your run and aid recovery after! Before an evening adidas Runners sessions, aim to enjoy a complete meal at lunch time, containing foods rich in starchy carbs and protein, and then an extra easily digestible carbohydrate-rich snacks in the lead up to your run (you may find you prefer the extra fuel, espeically if you think your run may be challenging!). 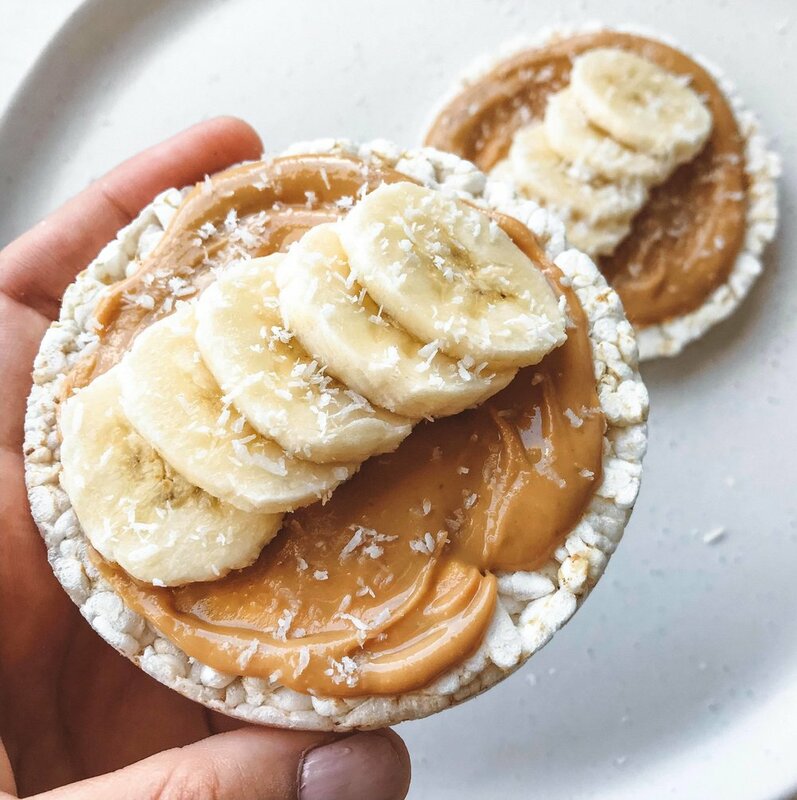 There’s no one size fits all when it comes to the ‘ideal’ foods to eat before a run, and it’s key is to make sure what you eat sits well with your digestive system, and is familiar. This may require some trial and error. Try and avoid anything too rich in fat (e.g. heavy sauces or creams) or fibre (e.g. broccoli or cauliflower), as these may cause digestive dramas. Eggs on quality grainy toast spread with avocado or pesto. Nice with smoked salmon! Quick protein shake + fruit: shake together protein powder + water/coconut water. Enjoy with a piece of fruit on the side. Easy on-the-go! Nutrition priorities after a run are replenishing glycogen stores and facilitating muscle recovery and repair. By giving our body the tools (nutrients) needed to do this, recovery happens quicker, leaving you feeling better the days to come. While post-run nutrition has a standard approach, how much focus and urgency you need to give refuelling depend on your run. If it’s a shorter run, under 90 minutes, and a relatively low-moderate intensity then just continuing your regular eating patter may totally suffice – given though your diet is relatively nutritious and balanced anyway. If it’s a longer run, or very intense, then you may want to eat pronto (i.e. within 30 min – 1 hour) to kick of recovery. This also applies if your next training session is within 12-24 hours away. Higher-glycaemic carb-rich foods, like potatoes and white rice, can be good options for refuelling after a run, as they’re broken down quickly, which means fuel gets to your muscles quicker. If you can pair that with a protein-rich food, like chicken, fish, tempeh or eggs, then that’s a good foundation of a meal - other good meal ideas are similar styles to the ones above. A ratio of 3:1 carbs to protein-rich foods as a beneficial approach to refuelling – this ratio helps the body re-synthesis glycogen in our muscles more efficiently than carbs alone (5). 5) Zawadzki, K. M., Yaspelkis, B. B., & Ivy, J. L. (1992). Carbohydrate-protein complex increases the rate of muscle glycogen storage after exercise. Journal of Applied Physiology, 72(5), 1854-1859.